If you're looking for high-quality products that will truly impress your customers, the printer service experts at Laser Line in Linthicum Heights, MD recommend hybrid printing, an innovative process combining two different methods for highly customizable, beautiful results. Using both digital and traditional offset printing techniques gives you the flexibility to create relevant products with the high quality your customers expect. 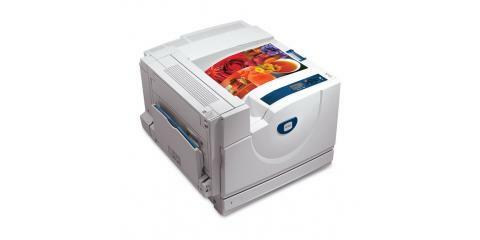 With modern advances in printer copier technology, you can order templates for almost any application, then finish the project on your own office equipment when the need arises. With this process, there's almost no limit to the type of products you can create, from event invitations to sales fliers or customized mailers. Traditional offset printing provides high-quality results with excellent consistency and amazing colors, but it is usually only cost-effective for high-volume orders. With hybrid printing, you can take advantage of these benefits while still being able to create print products in any quantity tailored to your immediate needs. For example, an offset printer can create a large quantity of branded event invitations, which are then modified with specific details on your office digital printer. Since 1989, Laser Line has provided offices throughout the Washington D.C. metro area with the best printer services and products in the industry. If you need reliable, flexible, and high-quality print products, you can rely on their expertise to get you the equipment you need, and to ensure that it's always working when you need it most. Visit their website to learn more or call (410) 636-1700 to speak with an expert today.